I was lucky enough to attend the Kitchen and Bath Industry Show (KBIS), which was held last month in Orlando, FL. This is the world’s largest trade event for the kitchen and bath industry and has been for the past 50 years. Between 80,000 and 100,000 people attended the show in January. Over 500 leading brands and thousands of products were highlighted this year! There were interactive exhibits and many innovative, new products and technologies introduced. It was truly an inspiring event! To highlight the award-winning products, here’s a look at a few. 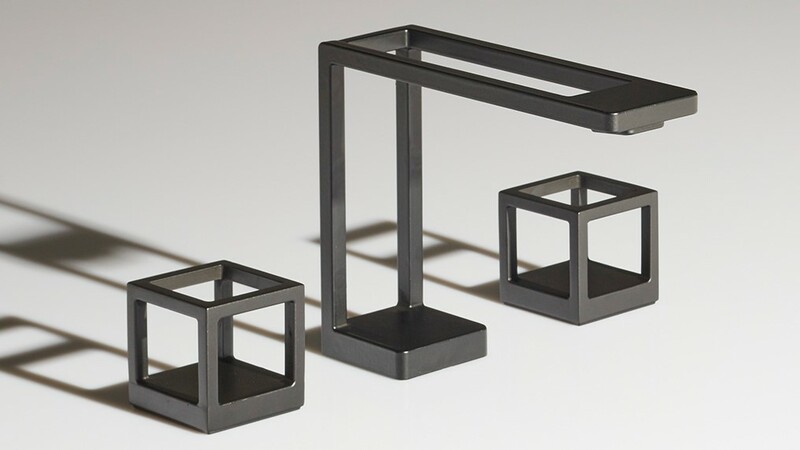 Faucet – the “Grid” from Kallista, a luxury brand known for unique and tasteful design and a wholly-owned subsidiary of Kohler. Yes, the water flows perfectly, through the “grids” of this modern, based on classic, cubist and mid-century design form. Amazing! GRID Faucet by Kallista. Photo courtesy of Kallista website. Snap Panel Lighting – from Tresco for Rev-A-Shelf, these light panels come in 12” x 12” LED sheets, are razor thin, can be snapped into 3” x 3” squares and snapped back together, to create any desired configuration for cabinet interior surfaces or other back-lit applications. This is a new, customizable and uniform lighting solution with a very low profile! They are also very easy to install with small clips and screws that come with the sheets. And, they’re dimmable! Tresco SNAP LED Lighting. Photo courtesy of Tresco website. Samsung Flexwash and Flexdry washer and dryer set. Both washer and dryer can do two loads at once! Both include large capacity compartments in the front and smaller capacity compartments on the top for delicate items. The steam function is included to reduce wrinkles. They both come with Wi-Fi connectivity, so you can control the machines from your phone. 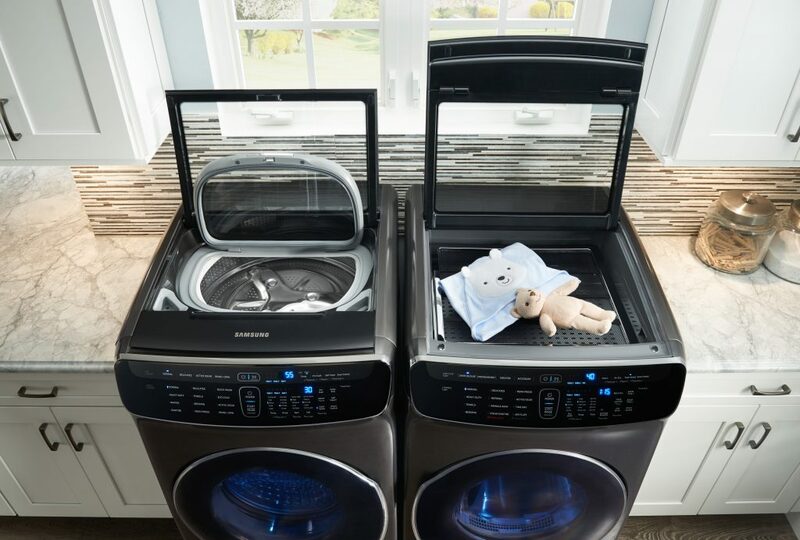 Samsung FlexWash and FlexDry washer and dryer combo. DeKauri, designed by Daniel Germani for Cosentino. This is a furniture piece crafted from exotic Kauri wood pieces from New Zealand. The striking, white Dekton sink, faucet, and mirror are concealed behind the beautiful doors. Great design and function! 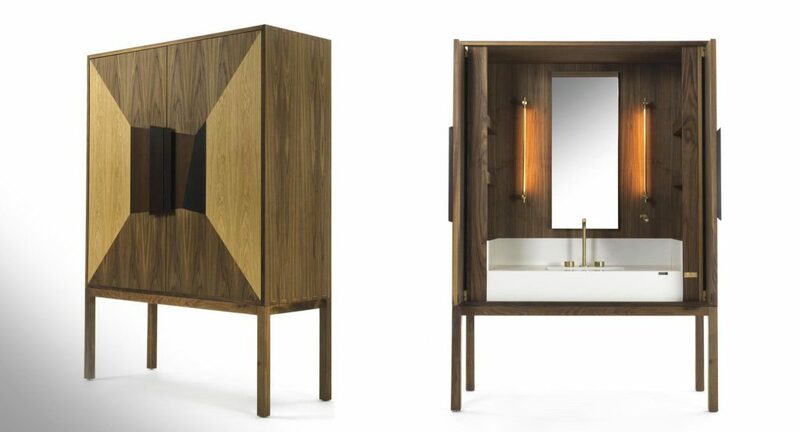 DeKauri is a freestanding enclosed bathroom vanity crafted from 50,000-year-old Kauri wood.